In order to successfully maintain and hold secure an empire, rulers often sought to estab- lish a personal bodyguard charged primarily with the preservation of their lives. Such situations were particularly true in the respective cases of the Mongol and Roman Empires, whose elite guards attended their leaders day and night, through peacetime and in open battle. Whereas the Mongol Imperial Guard were created with honest intent and found to be exclusively loyal to their political patron, the khan, the Roman Praetorian Guard were often bribed to sacrifice their own values for the political agendas of the Senate and swayed by their own agendas to oust one em- peror for another better suited. This essay compares and contrasts these two imperial corps, their later incarnations, their expectations, and their loyalties and disloyalties within the context of the empire and political patrons they were entrusted to protect. Many differences and similarities can be found between the two sets of soldiers who thrived in two completely different eras of history and in two completely different parts of the world. The first incarnation of the Mongol Imperial Guard differed from the Roman Praetorians, who were, from the moment of their origins, seen as an elite unit1 and an “important arm of the state and a formidable personal military power base.”2 The Mongol Imperial Guard under command of Chinggis Qan, established in 1206,3 differed somewhat from that of the Romans. 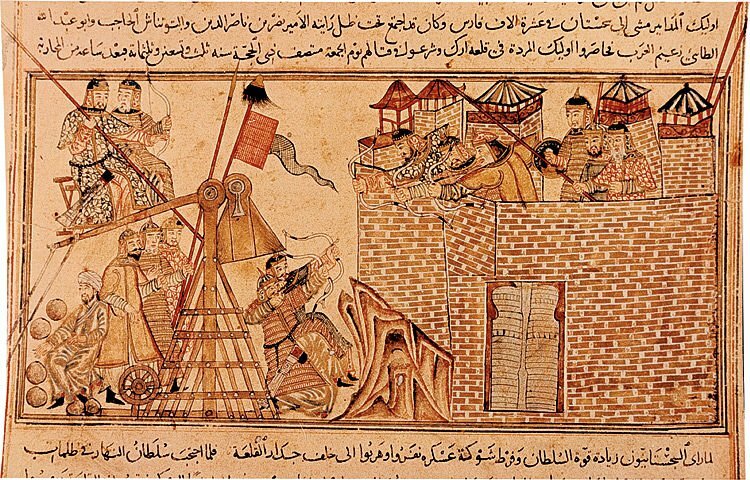 According to Richard A. Gabriel,“in the early days, the [Mongol Imperial] Guard had comprised only 1,000 men and consisted of the khan’s household, personal servants, and old, trusted comrades from the tribal wars who acted as a battle guard when engaged.”4 Chinggis Qan’s elite guards were not only fully capable of protecting his life, but they were also his family members, his cooks, and his personal valets. The mundane nature of the khan’s bodyguard changed dramatically over time, as these attendants’ titles eventually gave way to a designation as “the personal bodyguard of the Khan,”5 who made up the “tungaut, or Day Guard, kabtaut, or Night Guard, and the Quiver Bearers, or battle guard.”6 Once the Mongol Imperial Guard had developed into this particular incarnation, they closely resembled the standing Praetorian Guards in Rome under Caesar Augustus and his successors.